We’re COLLECTIVELY tickled to see that the fine folks at Even Stevens are hosting a Volume 2 edition of that marvelous night of nosh and philanthropy, Of Course. 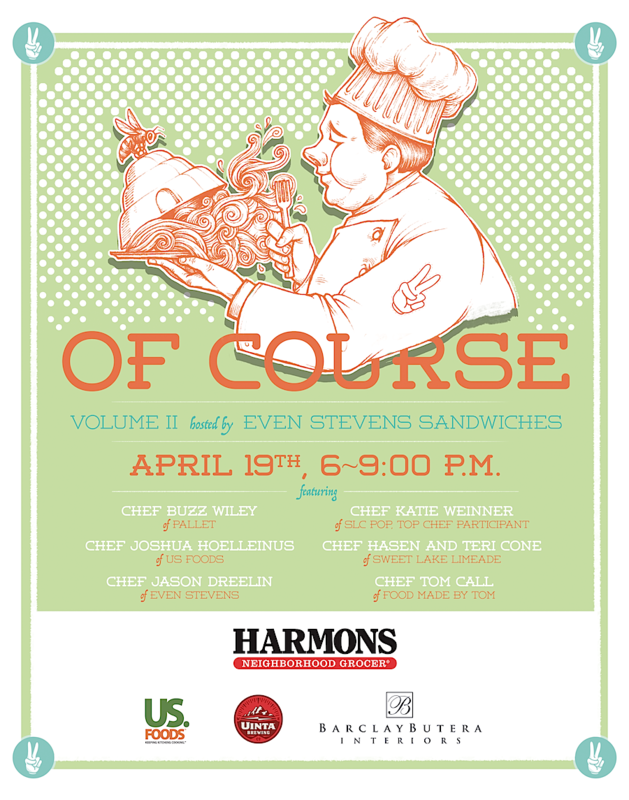 For only thirty-five bucks, lucky diners will enjoy a six-course meal prepared by some of our fave chefs and establishments: Pallet Bistro, Sweet Lake Limeade, and Chefs Johua Hoellein, Tom Call, and SLC Pop’s Katie Weinner [fresh from her stint competing on Top Chef]. Craft local beers and sweet tunes by Vinyl Tapestries gild that already-fabulous lily. Proceeds from the event will support programs at Late Bloomin’ Heirlooms, a West Jordan mini farm. In addition to promoting heirloom variety seed saving and hosting seed swaps, the altruistic folks at Late Bloomin’ Heirlooms teach community classes on backyard gardening, nutrition, self-reliance, and seed saving for future generations of food growers. Goodwill and good eats. It’s a win-win.